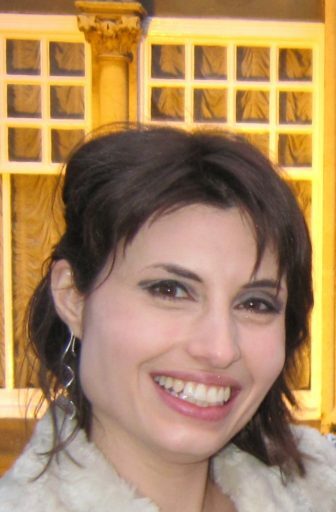 Pascale Baker has taught at the Universities of Sheffield (where she also completed her PhD) and Edinburgh in the Departments of Hispanic Studies. Her teaching has centred around Latin American literature of the nineteenth and twentieth centuries. Her specialist area of research is in banditry in Latin America, with a particular focus on Mexico. Her monograph, Revolutionaries, Rebels and Robbers: The Golden Age of Banditry in Mexico, Latin America and the Chicano American Southwest, 1850-1950 was published in November 2015 by the University of Wales Press. 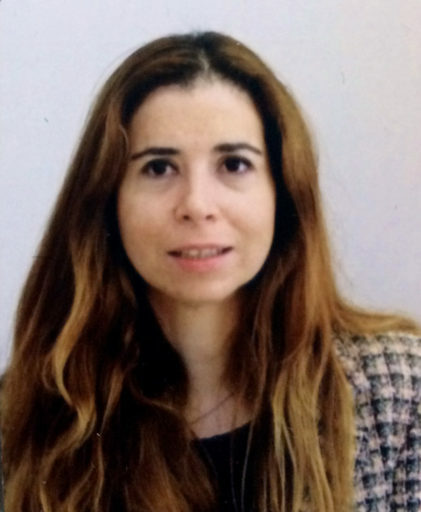 Catalina María Jaramillo is originally from Medellín, Colombia but moved to Dublin and received an MSc in Architecture from the University of Ulster. She is currently studying for a PhD in Architecture in the Edinburgh College of Art. Her research examines how the antagonistic mutation of the narco city materialises in the contemporary city. Catalina studies the influence of Pablo Emilio Escobar on the motorbike, the narco baroque and in religious iconographies. Colombia, a country conjured up in the evocative magical realist writings of Gabriel García Márquez, is also known as the place that occupied the centre of the illegal drugs trade from the late 1970s until the early 1990s, as the number one producer and transporter of cocaine to the USA and Europe. This murderous trade spawned the rise of the drugs barons and their powerful cartels, the like of which had never been seen before. Pablo Escobar was the premier narco, becoming a legend, both prior to and following his death in 1993, despite the terror and violence that he unleashed on Colombia. Traditionally the drug trade in Colombia, as elsewhere, has been associated with powerful men, but women have always played their part, rising up through the ranks via family connections or the patronage of influential political figures. It was Griselda Blanco, known by her nicknames, ‘the godmother’, ‘the black widow’ and ‘la dama de la mafia’, who became one of the most dangerous women to ever grace the drugs business. She made it to the top by aggressively expanding her cocaine trafficking operation from Colombia into New York and then Florida in the 1970s and early 80s. Blanco, who was herself gunned down in 2012, has been held largely responsible for fostering a culture of brutality in Miami during those years, while her organisation, Los Pistoleros, are infamous for pioneering the infamous murder on a motorbike style of killing, that was also adopted and technically perfected by Escobar to despatch victims in Medellín and Bogotá with maximum efficiency, at the height of the Colombian drug wars (Ovalle, 2012, Streatfield, 2005: 237, Amos 2015, Castillo, 1987: 81). A (probably fictional) meeting between the two drug bosses is relayed for dramatic effect in the 2012 Colombian drama El patrón del mal [Pablo Escobar: The Drug Lord]. The motorcycle murderers have largely been assumed to be male, with the bike and the gun adopted as macho tools of the trade, but there is a current cultural appetite in Colombia for portraying women in these roles, in particular in the ever-popular telenovelas (soap operas), which also reflects the dark reality of sicarias or female assassins operating inside the cartels. One of the best known Colombian novels to portray a female assassin is Jorge Franco’s 1999 text Rosario Tijeras, adapted in 2005 into a film of the same name and inspiring a song, ‘Rosario Tijeras’, composed and sung by the Colombian pop star, Juanes. The continued interest in the Rosario Tijeras story led to a 2010 television drama series. Rosario is a beautiful young woman, described through the filter of her besotted middle-class admirer, Antonio, in the novel and in the film. Trapped in a web of poverty and childhood sexual abuse, she decides to execute justice through the gun and escapes the slums of Medellín to join the cartel as a prostitute and assassin. Rosario appears to gain a measure of power and wealth as a killer and seductress. However, despite the myth that builds up around this mysterious character, who murders her victims with a kiss and a bullet, it becomes clear that Rosario Tijeras is at the whim of the cartel bosses who hire her out for sexual favours and can withdraw her luxurious lifestyle at any time. She is a bandit, yes, and a dangerous woman, but in this world of male cartel bosses she wields no real power. In both the novel and the film Rosario never kills on a motorbike. She blesses her brother, Johnefe, and former lover, Ferney, before they embark on their motorised killing sprees, and it is clear that they are considered to be the most skilled assassins by the bosses. Rosario’s modus operandi is to lure her victims into a false sense of security through her beauty and charm, as a traditional femme fatale. The overt sexualisation of Rosario in the novel and particularly the film is reflected by other Colombian stars famous for their sultry appeal in contemporary popular visual culture, such as Shakira and Sofia Vergara, although their allure is not nearly so deadly. In the 2010 television series of Rosario Tijeras, the situation is modernised as Rosario herself learns how to ride a motorbike, although she does not yet make the transition to becoming a motor assassin. However, the motorbike is no longer an exclusively male preserve in cartel land. The female assassin’s mastery of the motorbike as a killing machine is intensified in another popular Colombian soap series from 2009-10, El Capo [The Boss]. In one episode the character known as ‘La Perrys’, who will become the big boss, Pedro Pablo’s, right-hand woman, demonstrates her absolute skill as a biker hitwoman as she outdoes her rivals in a practise assassination on the motorbike, deftly killing a rabbit and a dog in the process. The Colombian TV company RTN, who made the series, describes La Perrys on their website as ‘una mujer fría, cruel, calculadora y asesina por naturaleza’ (by nature a cold, cruel, calculating assassin) who is an ‘excelente motociclista y el mejor sicario del país’ (an excellent biker and the best hitman in the country) (RTN, undated). El Capo is a fictionalised account but the events and characters it represents are mirrored by the real-life female assassins that appear periodically in the Colombian press. In 2011 one such character, a 17-year-old girl, made the headlines for her ability to recruit and train other youngsters to become assassins for the local cartel in the Aburrá Valley near Medellín. Such was her hard-headed skill in this task that she became known locally as ‘La Perrys’ after the soap opera killer (Gualdrón, 2011). In fact, the fictional ‘La Perrys’ from El Capo seems to have provided the prototype for the cruel but efficient female criminal in present-day Colombia. The Colombian news headlines recently reported the arrest of another narco in Medellín, Patricia de Jesús Montoya Montoya, another ‘La Perris’, who specialised in kidnap, extortion and torture (El Espectador, 2016). Quite apart from the association of the motorbike with criminals in Colombia, it would seem that as an economic and easy mode of transport, the moto is peerless, underlined by the fact that in 2013 eight million Colombians were using one daily and that, in the year 2012-13. 25% of motorcycle buyers were women, according to Semana magazine. As the magazine reports, ‘se les ha quitado el miedo [y] cada vez son más arriesgadas’ (these women are losing their fear and becoming ever more keen to take risks), an analogy that could be drawn with the rise of the female motorbike assassin in Colombia, too (Semana, 2013). It seems that in Colombian life, as well as on film, the rise of the female assassin/criminal/underworld figure is unstoppable. Unlike Rosario Tijeras, a sexual object for the narcos, or Catalina, the main character from another Colombian soap opera Sin tetas no hay paraíso [Without Breasts There is no Paradise, 2006], who moulds her body to the drug bosses’ requirements, many of the women characters appearing in these soaps are not simply prostitutes or gangsters’ molls. They are trained assassins or members of the criminal underworld, carefully plotting their way up the cartel hierarchy to grasp power, either through their family links to influential narcos or on their own terms. As well as ‘La Perrys’, the motorcycle assassin from El Capo, there are the women from the soap opera Las muñecas de la mafia [Mafia Dolls, 2009], who are the wives, girlfriends and daughters of prominent capos and heavily involved in the drug-trafficking business. Then there is the character Alicia Benitez, nicknamed ‘La Mariposa’ [the Butterfly] from the 2012 cartel drama of the same name. This ‘Butterfly’ is a high-class money launderer and she runs a successful business which is much sought after by the drug traffickers to hide the true criminal origin of their wealth. The current Colombian fascination for the era of powerful cartels is a natural development, according to former trafficker turned author Andrés López López, who has penned many of the most successful recent cartel novels and television dramas, including Mafia Dolls. He claims of his countrymen that ‘we’re becoming one of the most mature Latin American societies but we need to hear about things that are happening in our country. It’s important for our society to know what really happened [during the years of the cartels’ dominance] so that we can go forward, so we can understand ourselves. They have to be understood so that society can grow stronger’ (cited in Iaconangelo, 2013). That understanding of the past includes an acceptance and uncovering of women’s role in the cartels, not just as sexual partners and prostitutes to the bosses, but as potential bosses, leaders and skilled assassins themselves, who are becoming ever more daring and dangerous. Amos, C (2015) ‘Catherine Zeta Jones to play Griselda Blanco, Colombia’s Ruthless Drug ‘Queen Pin’ in Biopic’, New York Daily News. Castillo, F (1987) Los jinetes de la Cocaína, Editorial Documentos Periodisticos; 1a ed edition. El Espectador [online] (2016) ‘Capturan a alias ‘La Perris’, el terror de cuatro barrios de Medellín’, El Espectador. Gualdrón, Y (2011) ‘ “La Perris”, ¿sicaria o niña inocente?’, El Tiempo. Iaconangelo, D (2013) ‘Andres López López: The Journey Of A Colombian Drug Lord Turned Bestselling Author Of ‘El Cartel De Los Sapos’ And The Upcoming ‘Lord Of The Skies’ [PROFILE INTERVIEW], Latin Times. Ovalle, D. (2012) ‘“Cocaine godmother” Griselda Blanco gunned down in Colombia’, Miami Herald. RTN [online] (undated) ‘El Capo. Personajes: “La Perrys”’, RTN. Semana [online] (2013) ‘¿Por qué se ha incrementado el uso de motos en Colombia? Un estudio sociodemográfico explica por qué los colombianos prefieren comprar motocicletas’, Semana. Streatfeild, D. (2005, 1st ed. 2001) Cocaine, Virgin Books: London. Romani Women – Dangerous Women?